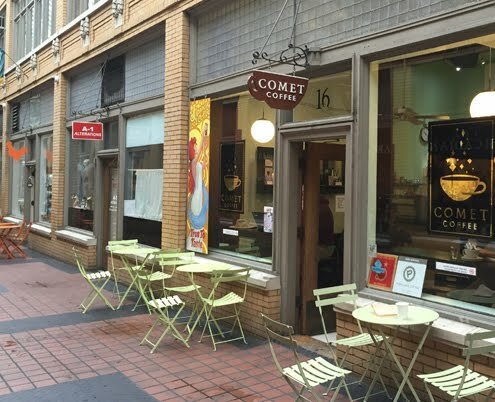 While most bakeries supply coffee, relatively few do it well. 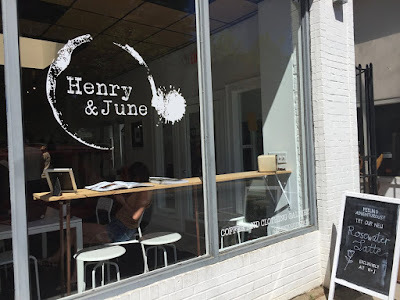 Sure, I understand that coffee is not usually a bakery's bread and butter (*rimshot*), but a baker that makes a great cup of coffee (not to mention latte) will definitely extend his/her appeal. For as long as I've been searching for coffee in Canada, there's always been a Saint-Henri enterprise on my radar. 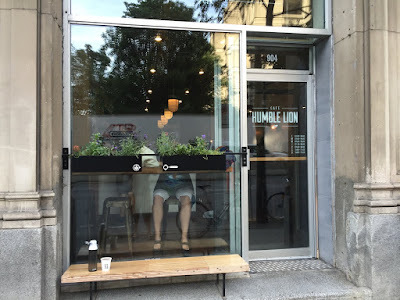 Back in 2008 I discovered Caffe in Gamba in Montreal, the cafe that began it all. 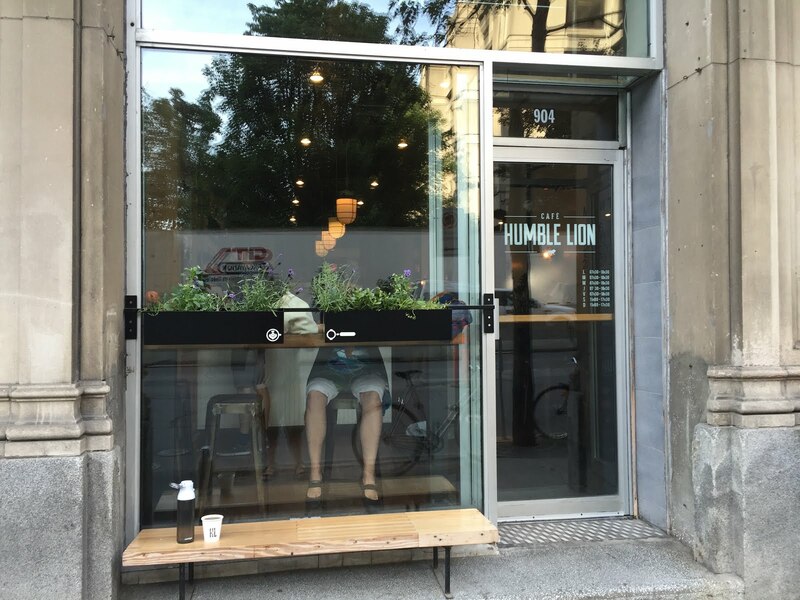 From there, I've watched from afar as Saint-Henri grew into a serious roaster, set up other Montreal shops, and then expanded over to Quebec City. Finally on a gorgeous recent evening, I was able to make a trip to their cafe in the Saint-Roch neighborhood for a long overdue after-dinner coffee. Looking back on my love of reading, I have CS Lewis to thank for much of it. It was the seven books of the Chronicles of Narnia that first instilled not only literary enjoyment, but also further understanding in my young mind. Looking back at the many allegorical elements, Aslan easily tops my list as most impacting. Lewis' portrayal of this divine lion definitely helped round out my perspective on God as well as my understanding of humility, that the trait reflects a selfless focus on helping others, a quality that ousts a self-focused heart and gradually replaces it with a more loving, compassionate one. 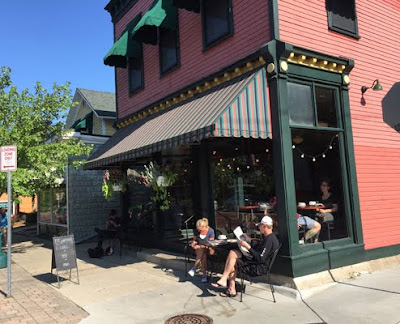 While I tend to shy away from rankings (mainly due to their subjective nature that gets passed off as empirical data), I must put Burlington as one of my favorite locations in the USA. I have been to many centers of population, and none combine the majesty of local nature so well with the amenities of a slightly urban area. I can say with utter surety that there are few things that rival a sumptuous cup of coffee sipped along the shores of Lake Champlain. 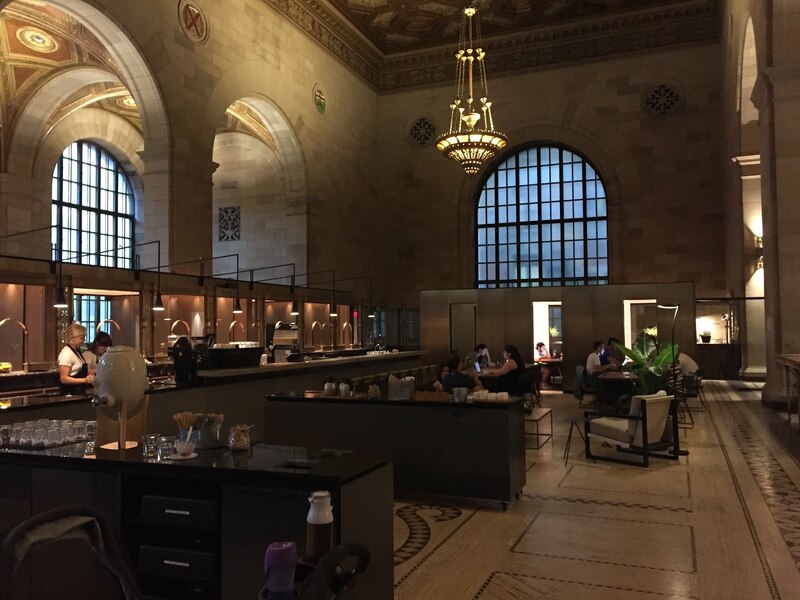 Having not set foot in Toronto for some years now, it puts a twinkle in my eye to see good things progressing with their coffee scene. New coffeehouses grow my list of potential coffee visits, and Toronto roasters keep on pushing out great beans. One such roaster that persists in doing great things is Reunion Island, especially with their recent batch of Kenya Miiri Nyera District. 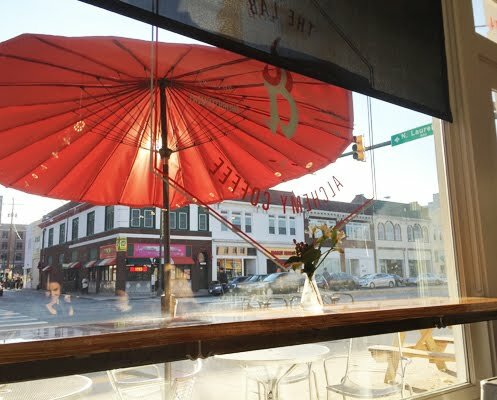 Nine years ago, I visited a vibrant cafe in the Bella Vista section of Philly that resulted in an experience that provided little to no fanfare. 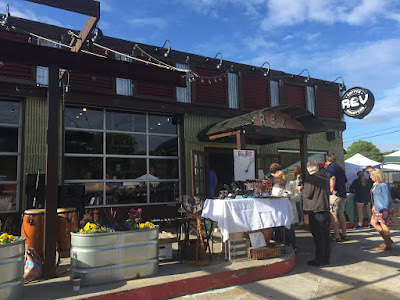 Due to the mediocre experience, I soon forgot about the shop and can honestly say that despite driving the area frequently, I never really gave that location a second glance, letting it fall into relative obscurity. While air travel wears me out, there is no suppressing my child-like, adventurous anticipation when arriving in a distant land. Usually my routine after making it out of the airport is to make a beeline for cup of quality coffee. 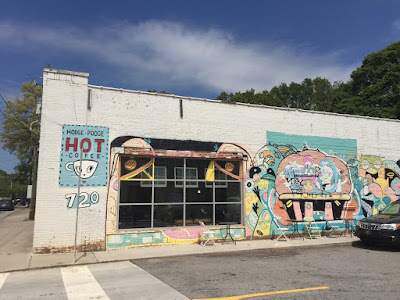 Thus, upon touching down in Atlanta one sunny afternoon my bearings bore me to a giant coffee venue called Hodgepodge. While my trips to Montreal are not nearly as frequent as I would like, fortunately shops in the area seem to have a sturdy shelf life. 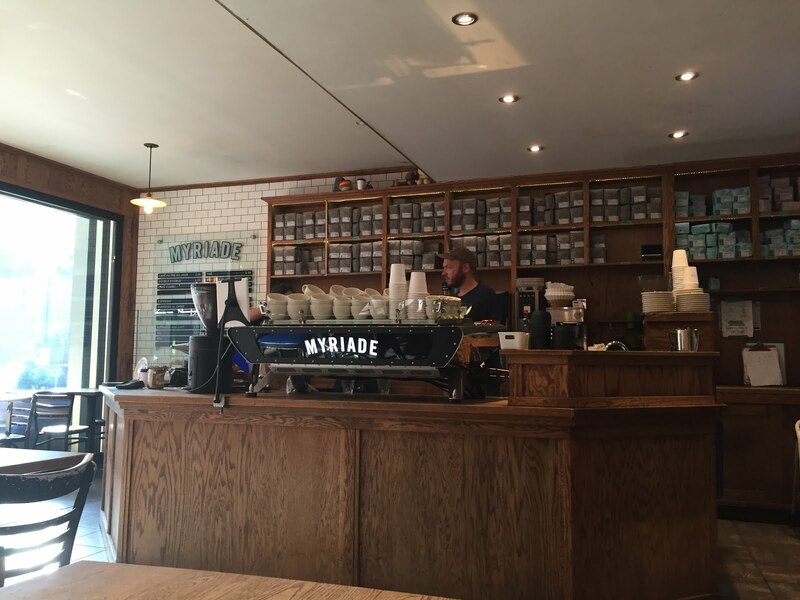 Cafe Myriade is one operation that opened after a trip circa 2007 and over the years I've watched them make great coffee from afar. Finally, nearly ten years later I finally had an opportunity to visit their original Mackay St location for an experience long in the making. It might be coincidental, but whenever I'm in the South I find more coffee establishments open late versus anywhere else (save maybe the Northwest). 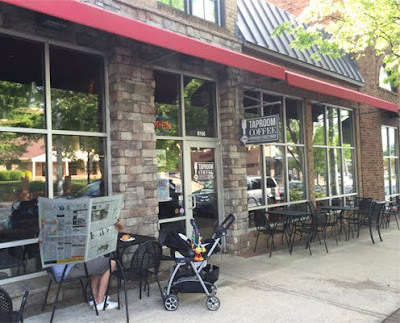 Maybe it's because the alcohol laws are more relaxed or that their patrons just get up at later hours, but when I was driving through Alabama, I had plenty of places to pick for a cup of coffee after supper. Many people have conveyed to me the beauty of Quebec City. Whether it's the old world charm of the old city, the beautiful Chateau Frontenac or the warm reception of locals, Quebec City holds a reputation as a very unique North American destination. Looking to get a little slice of Europe on the continent, I recently made a quick trip north for a brief French-Canadian respite. For as much as I love the crisp air of winter and snow-covered mountain peaks, I definitely more enjoy sitting outside in a tshirt while sipping on a great cup of coffee. 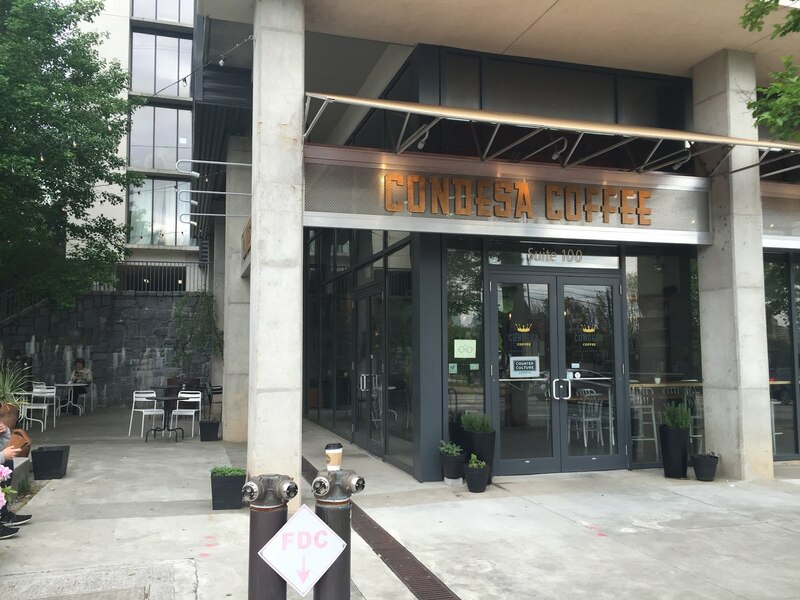 The warmth of Atlanta provides plenty of days for such activity, and coffeehouses like Condesa's O4W (Old Fourth Ward) location have tremendous patios for their agoraphilic patrons like myself. 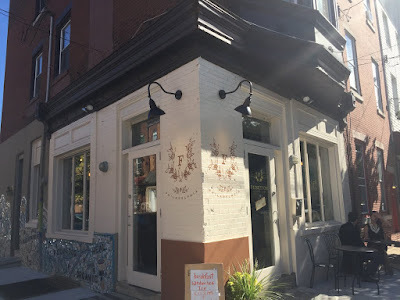 If there's an item that woefully lacks in coffeehouses these days, it's unique atmosphere. 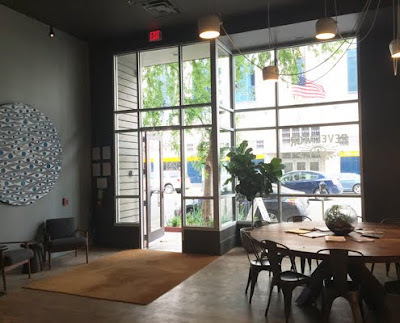 Few shops seem to transcend the usual trends or really put their creativity to work when putting together their environment. My theory is that due to the crucial nature of atmosphere, most places either play it safe, sticking to tested convention versus more interesting ideas, or find themselves limited by time/money/laws/themselves. Whatever the reasons, unique digs definitely elude the average cafe. 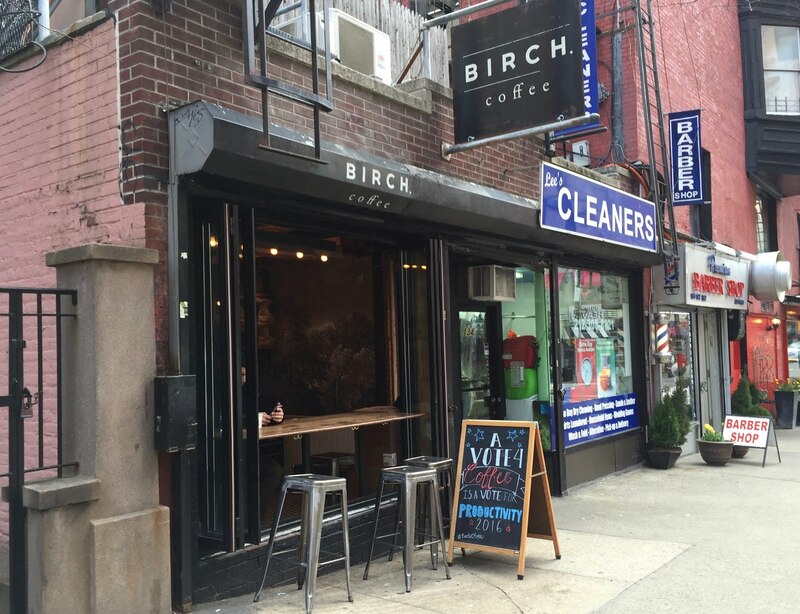 Despite the enormity of great coffee in Manhattan, it can still be difficult in certain areas to find a great stop later in the day. 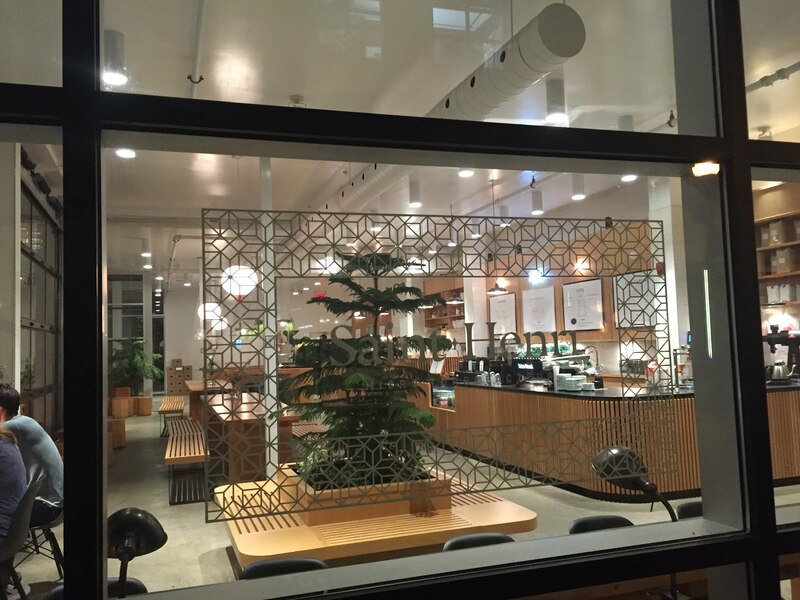 Sadly, not all New York City cafes are created equal, and especially for those who enjoy an evening cup of lovingly-crafted joe, it can be hard to locate a provider. Fortunately, the quality coffee scene grows stronger and shops are expanding like wildfire, but in the meantime there is one place in particular that always seems to be nearby when needed: Birch Coffee. Updated 9/19/16: It appears this place is in the process of closing down, with limited hours and offerings. Stop by while you still can (check their social media for updates). Tis a loss for Atlanta. While I understand the risks, I personally love shopping for clothes with my coffee in hand. Of course there have been a few times employees have asked me to cease my sippings until I've cleared the register, but most places don't seem to mind (I think it's due to my observable dexterity with a mug). And while I am used to this peaceful coexistence I find at most retail outlets, every now and then I find a store that not only embraces the fusion of coffee and fashion, but that sells both. 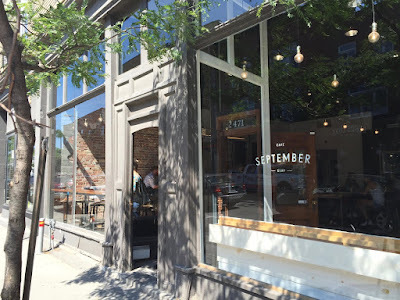 I never expected to find a surf-centered coffeehouse in Montreal, and yet there exists September Surf Cafe. Named for the peak surf conditions offered on the tail end of summer, September Surf offers excellent coffee along with their affinity for hanging ten. 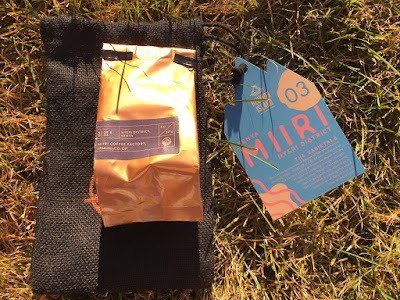 I have always looked at getting a great coffee from a distant roaster as a small road trip in a bag. While I aspire to visit every worthwhile coffee purveyor, the sad truth is that there's not much money in my coffee coffers to make that a consistent reality. So until I get to a roaster's physical shop (if they have one), I'm more than content to breathe in their beans and slurp their brews from afar. Living in the Philadelphia region means sporadic trips west of the city to the rolling hills of the Lancaster area. 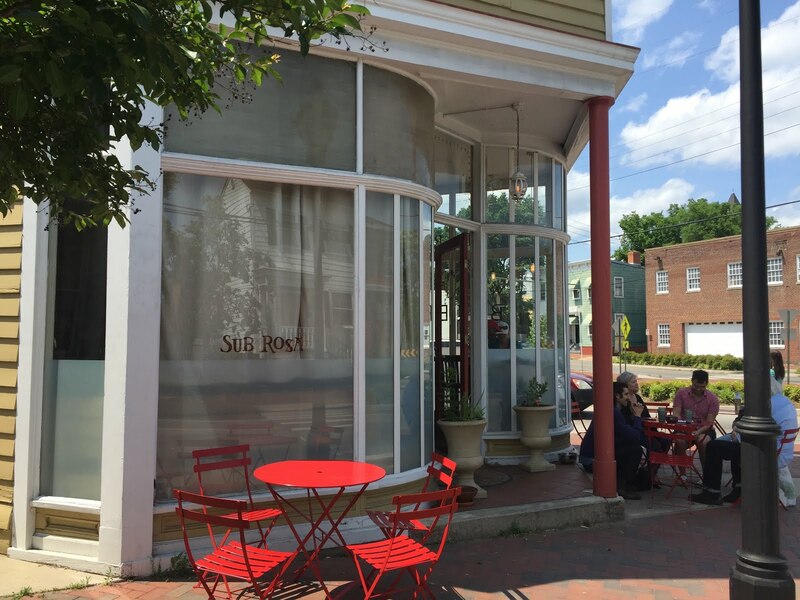 Whether your interest is in the amazing food and crafts of the Amish, the smorgasbords or the gorgeous country itself, I have come to love the area west of Sadsburyville. 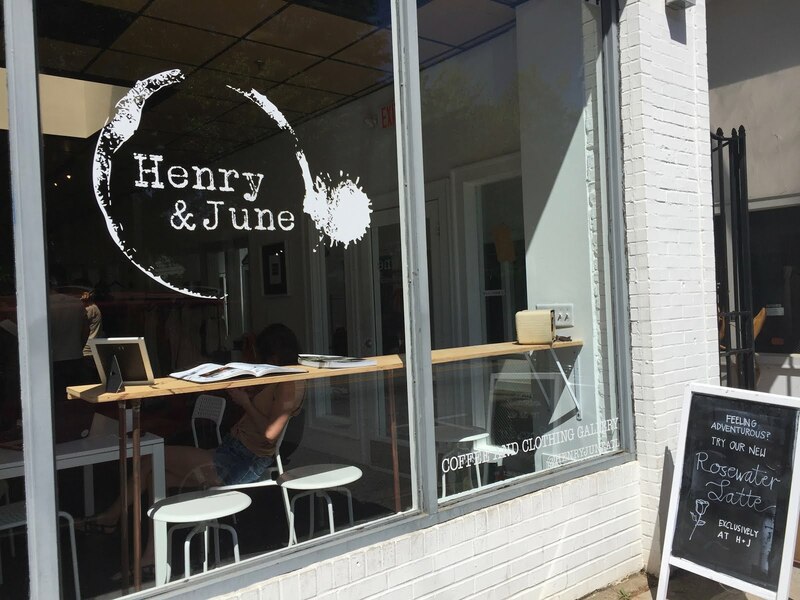 As a former resident of Central New York, it always warms my heart to see great coffee gaining a stronger foothold in the land of finger lakes and (seemingly) eternal winter. 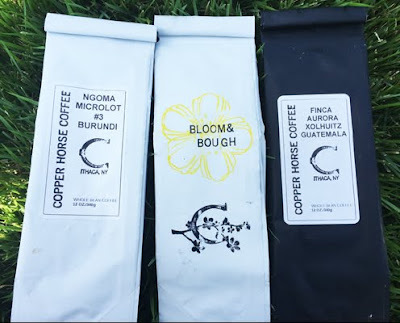 Back in my first days up north, the options for coffee roasters were few and thankfully, the options have grown varied and delicious ever since I left. 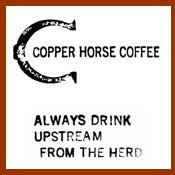 One of the newer and more delicious of these entities is an Ithaca operation called Copper Horse Coffee Roasters. Getting three of their coffees sent down my way, I took each for a spin via pourover, french press and siphon. It seems that as the years march on, coffee and beer become better friends. For awhile, they only coexisted in the same house. 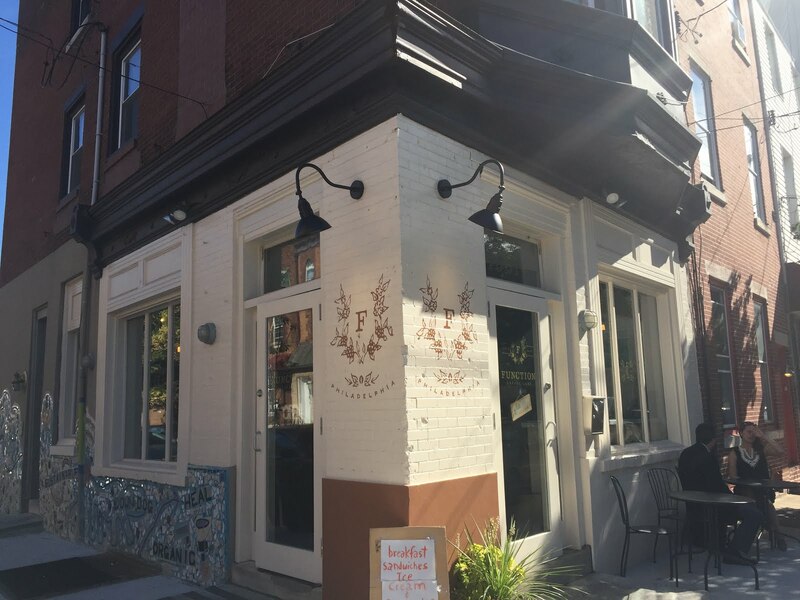 Then some years ago, coffeehouses began featuring quality drafts offerings, mostly in localities where a liquor license didn't preclude such a team-up. 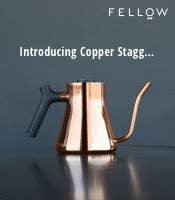 Now with nitrogenated coffee (and tea) offerings popping up across the globe, it seems that the only thing separating coffee from beer are their chemical compositions. 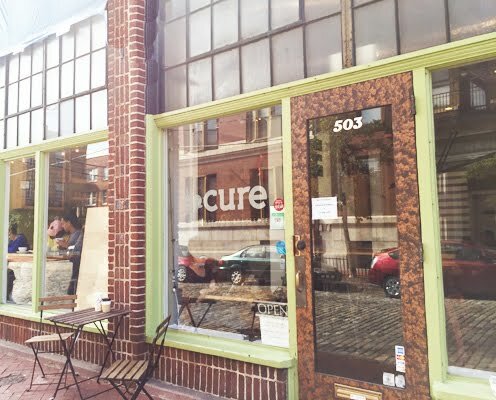 During my late high school and early college years, I would often stroll the area around Philly's South Street looking for a great coffeehouse to patronize. Sadly, in that era there were few decent options and I often spent a lot of time walking around weeping silent tears. Years later, great spots began popping up here and there, making for a full turn around for the local coffee scene. But of all the current spots that would have appealed to me both past and present is 3rd Street's Ox Coffee. When one looks for great coffee in the southeast US, there's more and more great coffee popping up all over the place, with individual cafes blooming in most major urban centers. Yet one coffee company that has established numerous outposts all over the south is a roaster called Revelator. 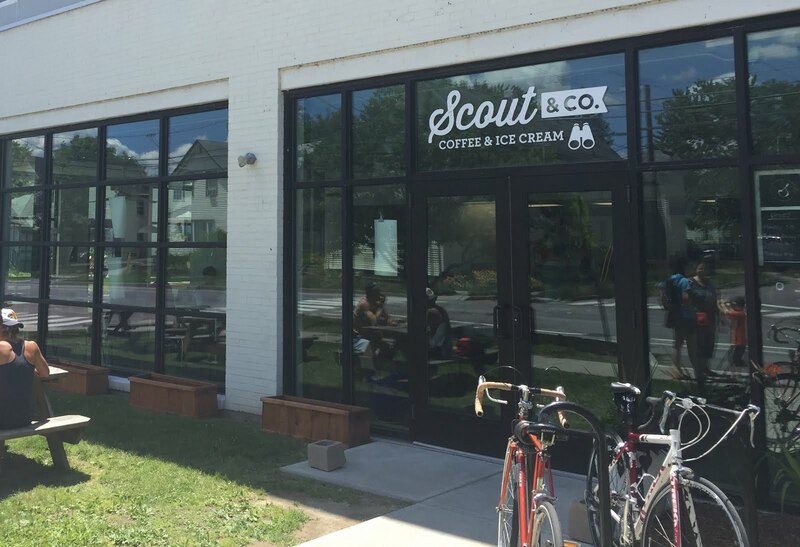 With shops now in five major southeast cities and plans for further expansion, this relatively new juggernaut has blessed the south with gorgeous shops and delicious coffee. For as long as I have been drinking coffee, Haiti has not been a country renown for its great coffee. While the country has a history of cultivation, it seems that only now has Haitian coffee spilled into the realm of quality coffee. 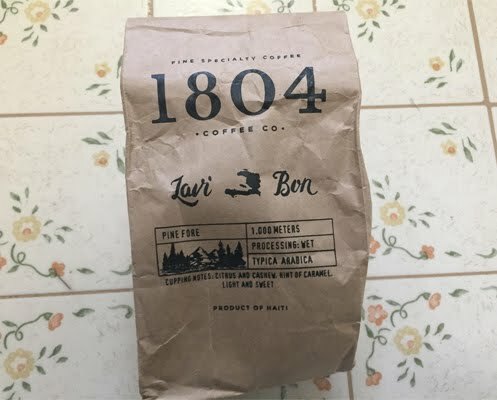 Still, much of the coffee beans I have had from Haiti have been too dark to discern any positive flavor, a trend that still persists among many coffee entities. But fortunately there does exist a coffee roaster that offers Haitian coffee that does not get lost in second crack. While the Hudson River is an easily traversed body of water, it amazes me how few businesses drift across from NYC into NJ. Take for example the coffee situation: New York City literally has hundreds of decent coffee stops, many with multiple locations. 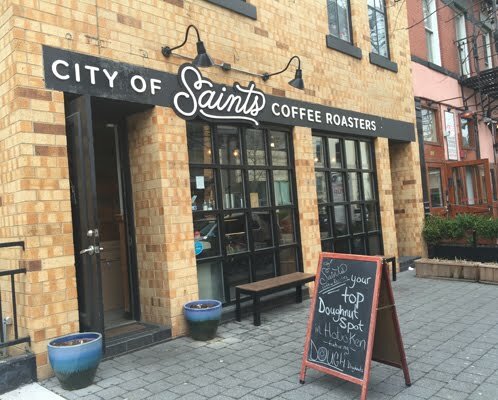 Yet, across the river in cities like Jersey City and Hoboken, only a smattering of shops with similar quality have reared their heads, and rarely will a NYC coffee entity open a shop in the lands of Jersey. Sure there's lots of reasons for why this happens, but I'm more interested in the few exceptions to this phenomenon, such as City of Saints Coffee Roasters. 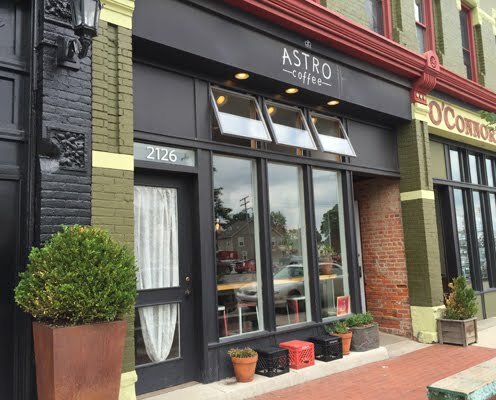 It's my habit often when visiting with friends on the weekend to seek out a good brunch and then a good coffeehouse. 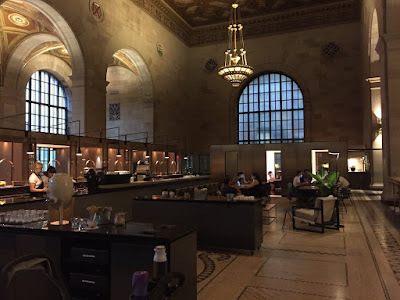 While the landscape is still improving, sadly few places know how to do brunch and great coffee, so to keep it simple I usually keep my coffee stops separate from my brunches. Many coffee beverages share a lot in common with cocktails. Like a good cocktail, the ingredients and methodology will carry or crash the beverage. Also, much like a skilled bartender should know how to make an old fashioned or martini, a good barista will easily know the difference between a traditional cappuccino, a flat white and a latte. 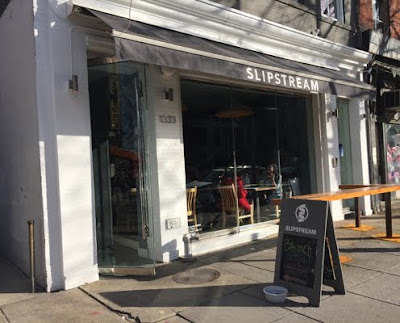 Add to the mix the growing overlap between cocktails and coffee beverages, and it's no wonder that places like DC's Slipstream have grown in popularity. 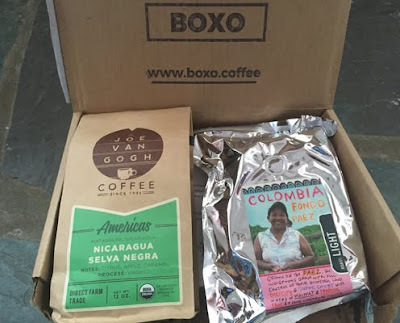 Great coffee rarely sticks around for a long time, especially microlots. Sure the name all but spells out "limited availability" but not all smaller offerings are created equal. 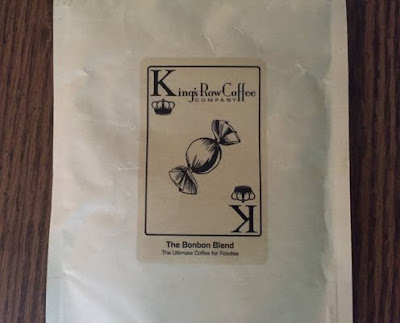 Two that barely got to my door before selling out were two fantastic selections from Reunion Island Coffee Roasters. Baseball and coffee rarely seem to overlap. When people take in a baseball game, their appetites usually feast upon sodas, fermented beverages or even iced tea. 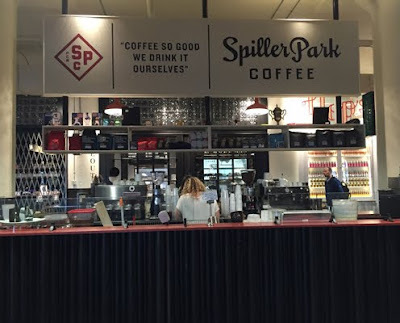 Too infrequently have I seen coffee, hot or cold, break through the barriers of tradition to be found at a major league stadium, never mind a little league snack bar. Back some ten years, Nyack first appeared on my radar when a good cousin and chum decided to attend Nyack College, a small Christian institution of higher education on the Hudson. 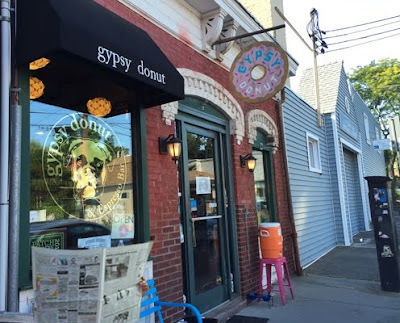 Having never actually been in the town of Nyack, I recall being delighted to discover its charm and array of local shops, but somewhat disappointed that for many a year there existed not a drop of worthwhile coffee. 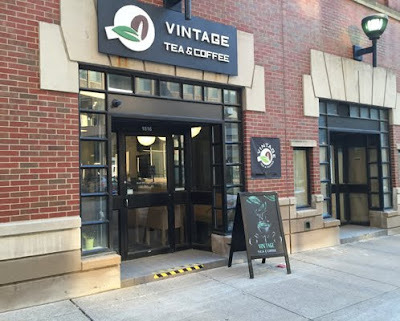 Whenever I peak in, Cleveland's coffee landscape seems to be improving quite nicely. Whether LeBron is the one to thank or it's just a mix of local talent meeting a growing need for excellent beverages, the city provides new caffeinated delight every time I visit. The density difference in quality coffeehouses between west coast cities and east coast cities still surprises me. 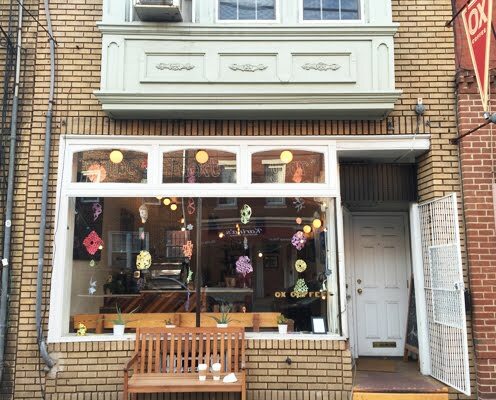 While the gaps grow smaller, places like Portland and Seattle still boast the greater amount of great coffee establishments per square mile, with the only real exception being New York City (though you could argue that due to the irregular density and infrastructure of NYC, it really should be put it in a class of its own). 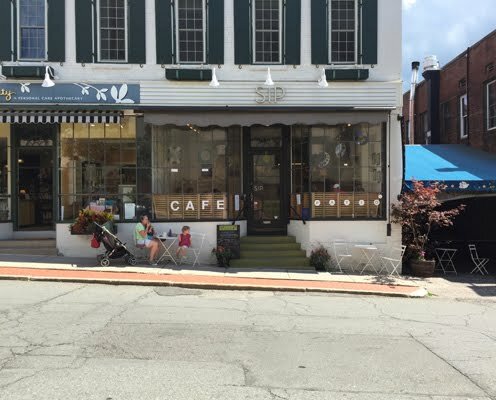 Thus it's no wonder that several years ago, when Portlander Erik Spivack transplanted to Richmond, he found a woeful lack of great coffee in this Virginia city. 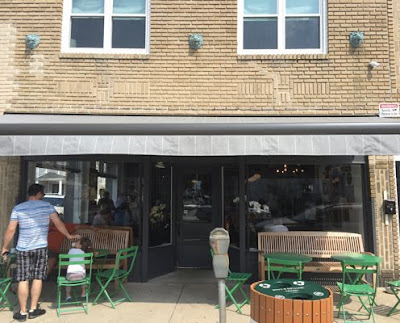 Fortunately, his response was not to complain on social media or give snarky remarks to friends and relatives, but instead to start up Alchemy Coffee. It's official: cycling and coffee are best buds. Sure, no truly notarized decree has been made from either the SCAA or the International Olympic Committee, but if you know people whom take one seriously, chances are they are deeply enamored about the other. 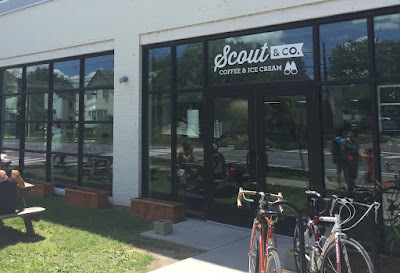 And unlike other communities that overlap with great coffee (like whittling or medieval anachronism), cycling and coffee have often combined forces for some epic tag teams. 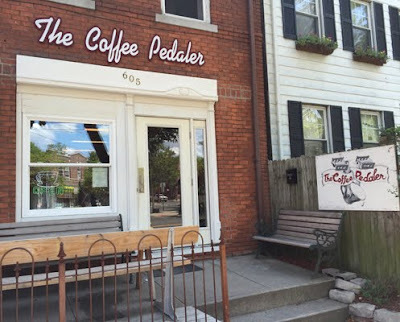 You can find coffee bars in bike shops, coffee served off the back of cycles (though to my disappointment, no one has debuted the coffee unicylce yet) and you can even find mobile coffee operations partially powered by pedal-power. Driving south from Saginaw, a plethora of gems exist on the way to Detroit. One is Frankenmuth, Michigan's Little Bavaria, a town with tons of tourist gold like the Bavarian Inn and Zehnder's that provide plenty of delectable eats, tourist-rich charm and German-oriented amusement. 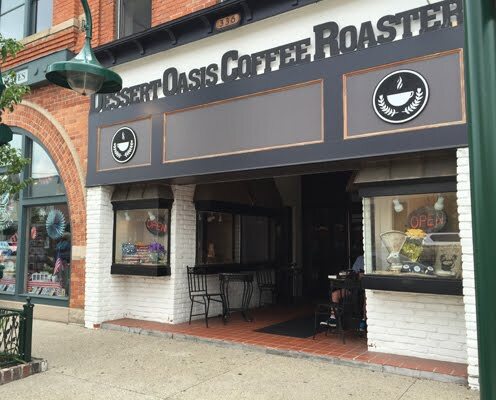 Another great spot is the city of Rochester, an area not only regarded as one of the better places to live in these United States, but also home to Dessert Oasis Coffee Roasters. No one tastes in a vacuum. Naturally I'm not speaking of feasts within appliances, but the simple truth that flavor often is compounded by our prior meals and/or environment. 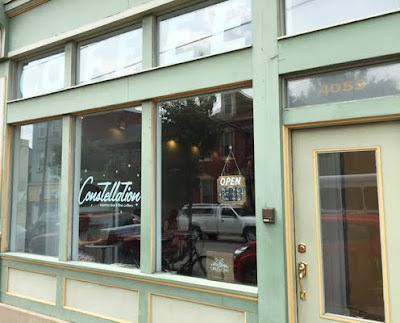 This concept happens to be a founding principle to the coffees at King's Row Coffee. Growing up in a newspaper-reading household in the Philadelphia area, my family always had a need for the morning paper. During periods where weekly subscriptions weren't in the budget, it was often my task to head to the local newspaper stand to grab the Sunday paper on the weekend. For suburban NJ, we had a decent options like delis and WaWa, but none as great as The Sparrows. Astronavigation is a skill severely lacking in our robot-dependent world. I recall many times as a child staring up at the night sky, trying to use the stars for directions. As a young adult, I remember my first unobstructed night sky while camping in the New Mexico desert, a sight that instilled a divine awe of the majesty and enormity of the universe. And thus, after lots of star gazing, I've learned that looking for dependable basics is key, like using the Big Dipper to find Polaris so one can head north. 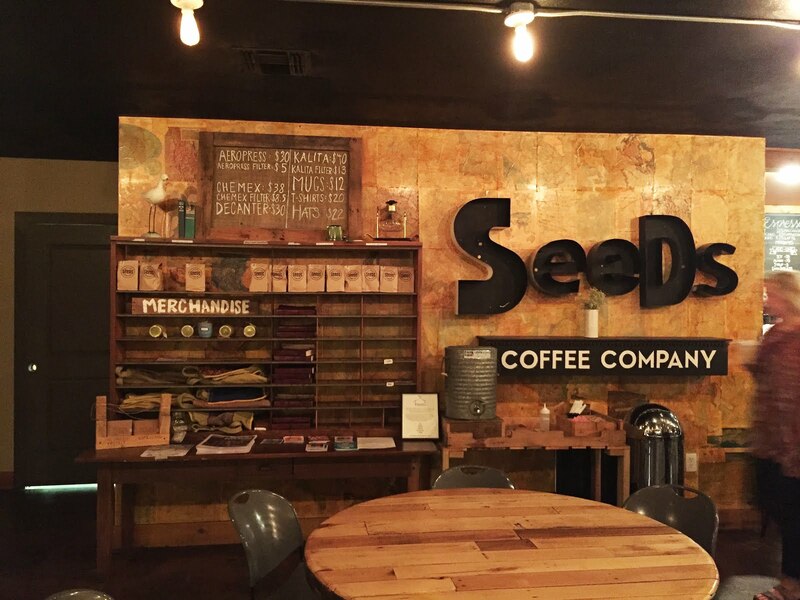 Similarly with coffee, a few key signs in a coffeehouse, like their roaster and reputation, can provide a directive beacon for some great coffee. 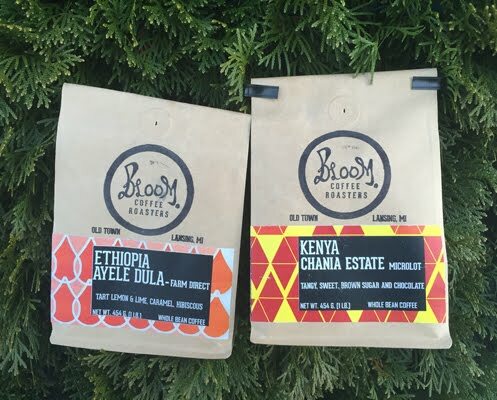 Years ago, coffee was only fleetingly associated with the regions it was grown. Sure the geography was identified with such stamps as "100% Colombian" or "The Taste of Hawaii" but rarely were the farmers given more recognition than the small wage they received for their beans. Today, coffee roasters have strived to not only give the coffee farmers their fair recognition, but also the best wage through the establishment of (more) direct relationships. 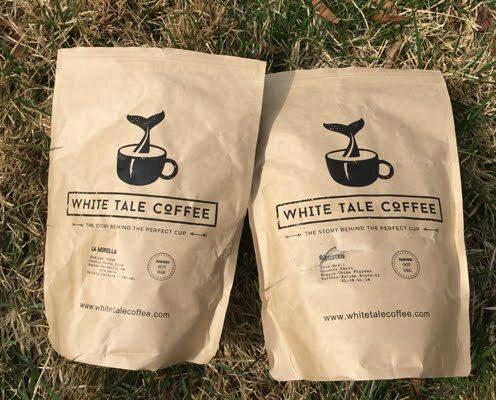 One such roaster out of Colorado that prides itself on telling the whole story is White Tale Coffee. There are few things that rival a beautiful, sunny drive through the hills and mountains of western Massachusetts. While the wilds still remain largely unexplored to me, I have had the pleasure of venturing into many of the towns around the area, with one of my favorite being Northampton. 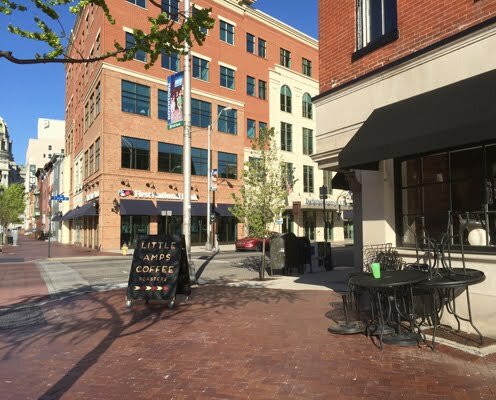 Its dapper shop-lined streets and surprising number of coffee establishments has consistently brought me in town whenever I'm passing through. Right along Route 29 above Trenton exists some of New Jersey's prettiest scenery. 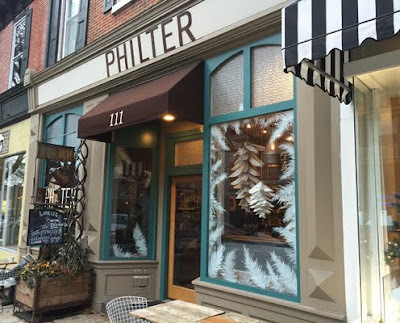 Growing up within a 45 minute drive, I would love romping through Washington Crossing and patronizing towns like Lambertville with their antique stores, medieval weapon shops and local bistros. The area is also one of few spots in NJ with a long-standing quality coffee presence at Rojo's Roastery, a fact that kept Route 29 a common route for me. 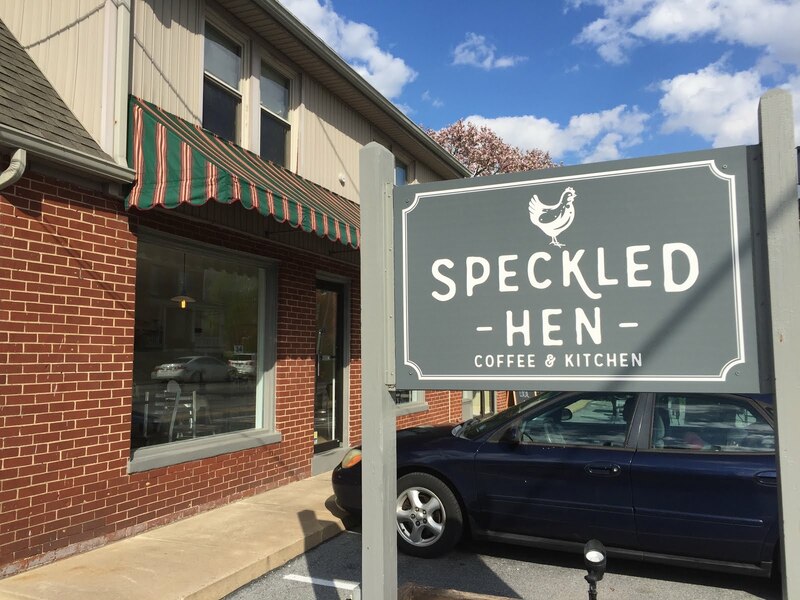 Fortunately, the slow growth of quality coffee has finally led to another tulip flowering about 15 miles north on 29 in Frenchtown, an outfit called Early Bird. The multi-roaster coffeehouse is one of my favorite iterations of a coffee-serving establishment. Poised to introduce its consumers to different coffee purveyors and offerings, it's much like the local taproom with an ever-rotating selection for the fanatical beer enthusiasts. And while not every city possesses a ton of such venues, I am fairly certain most possess at least one. 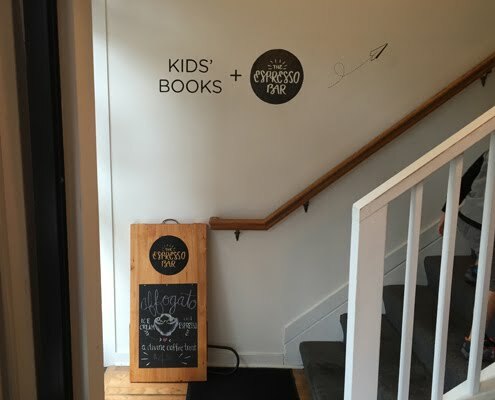 It's hard to imagine bookstores without a coffee presence. Though some would say the cafe element can ruin the bookstore experience, that it turns a shop into a library where coffee stains abound on new books, I personally love the idea of a having coffee amidst prospective literary acquisitions. Sadly there exist few book purveyors that host quality coffee establishments, so I tend to make few adventures to such places. Yet rest assured, worthy coffee does exist in certain bookstores, and if I had to pick my favorite to date, I would likely choose Ann Arbor's Espresso Bar. They stopped offering light roasts and George Howell. Coffee has become a tad more lackluster (though the baked goods are still amazing). One of the things I don't enjoy about the Jersey shore is the seasonal nature of many communities. Naturally summer boasts huge crowds, merriment and thriving beach islands full of life. Yet the fun ends in autumn when most shore businesses close up and the once-thriving towns become a place for polar bear plunges and boardwalk exercise. I do not deny that this might be the natural order of the universe, but I find no greater disappointment than knowing that I must wait until May for the next funnel cake or block of fudge. Coffee subscriptions are becoming more and more a part of the coffee drinker's arsenal. 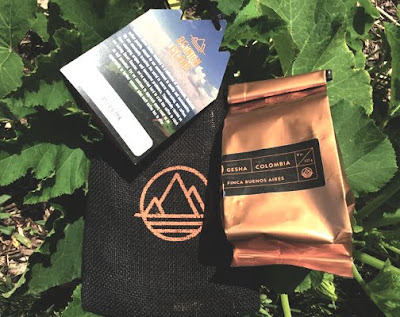 Years ago, you were pretty unique if you were willing to subscribe to one coffee roaster's coffee for a several months, but now, with the numerous subscription services that offer all kinds of coffees from all kinds of roasters, it's increasingly conventional. Chances are that if you like coffee, there's a subscription out there that fits you just right. Coffee is a lot like a flower: both are beautiful, regularly coveted and add a necessary spice to life. And like a great coffeehouse, one does not easily discover a great florist on every street corner. 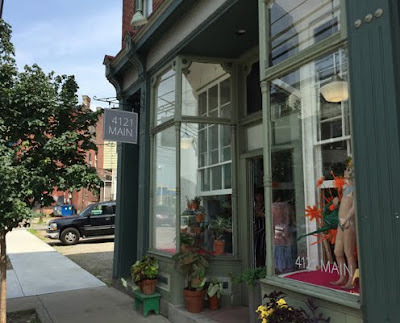 Fortunately for Pittsburgh, they can find both tremendous coffee and eye-catching floral arrangements in a small boutique called 4121 Main. While I am no expert in the realm of pottery, I know it takes a lot of skill to make a handsome mug by hand. Having been to my share of arts festivals and student showcases, my eyes have seen plenty of decently-constructed vessels and it's not often I fall in love with one (it would probably be why I have only three or four hand-crafted vessels in my cupboard). When I used to work in higher education, it seemed that about a quarter of my colleagues either studied or worked at the University of Michigan. At the time I had never been, so I listened to their stories of a stately campus, the great town and cold winters. Though I had intention of making my way there sooner, it wasn't until recently that I was finally able to visit. And despite my interest in seeing the campus, my sights were first set on an Ann Arbor coffee establishment called Comet Coffee. The great state of Pennsylvania is a complex state. Home to major cities, beautiful countryside and quaint towns, I find new surprises every time I traverse it. One city often overlooked is the state capital. 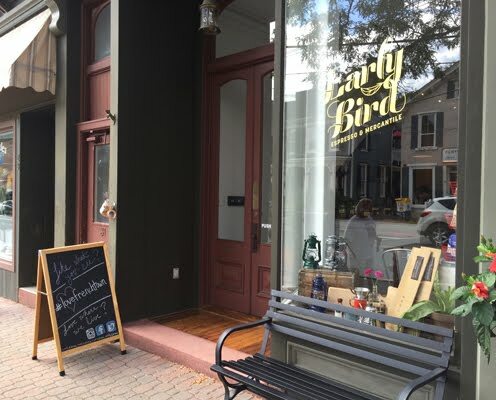 Dubbed head of PA in 1812, Harrisburg is not only a city rich in history but full of gems not always as lauded as their Philly and Pittsburgh peers. One such diamond worthy of a little attention is a coffee operation known as Little Amps Coffee Roasters. In the northern expanse of Michigan, a solid coffee is one of the best tools to survive the long winter. 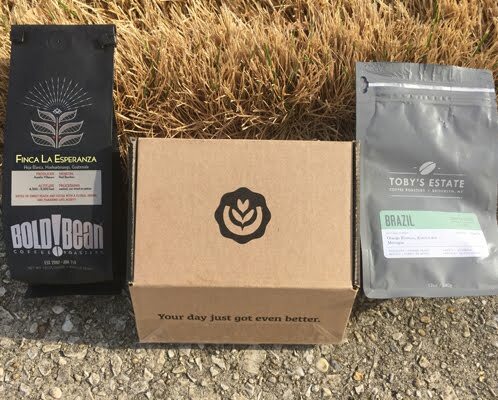 Naturally, Michigan has its share of coffee roasters, but only a few really deserve your money. Fortunately for the consumer, these roasters really work hard to keep the lower mitten and upper peninsula of Michigan well-stocked. 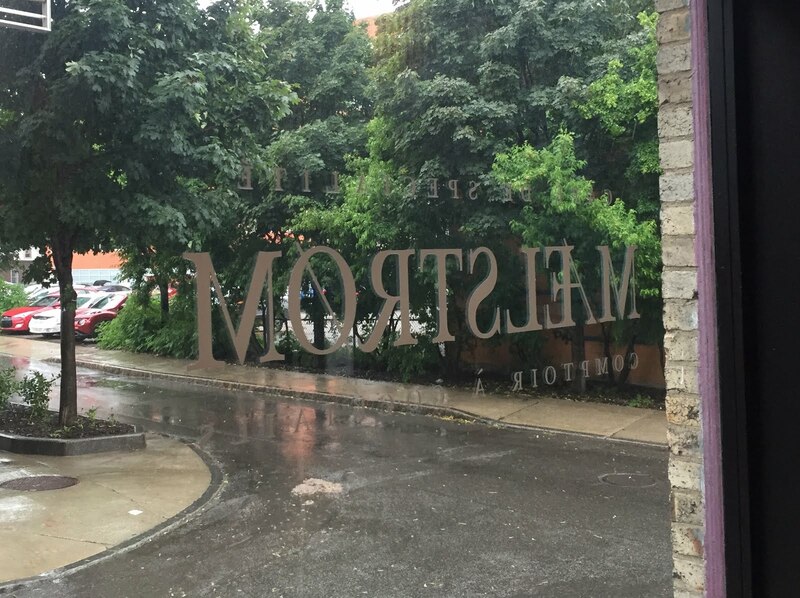 Often when visiting Chicago, I would look across Lake Michigan and wonder about what existed on the other shore. 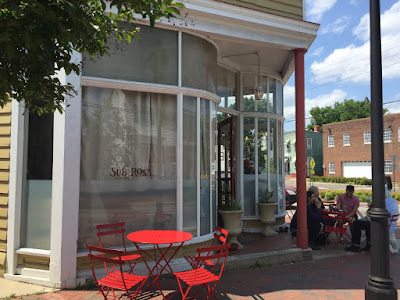 Not a frequent Michigan-goer, I finally got my chance to see the eastern shore and see what the area had to offer. Fortunately, I quickly stumbled into the gorgeous town of Holland. Settled by Dutch settlers and modeled after their native Netherlands, the town holds tons of charm and plenty of things to do (including the beach in nice weather). 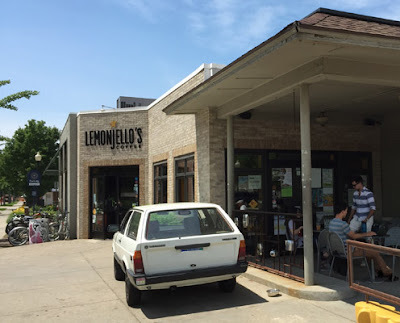 Naturally, my soul longed for good coffee and found it at a shop called Lemonjello's. The Philadelphia area possesses quite a few great holiday attractions. Yet if I had to distill them down, the two must-see stops are definitely the Christmas Light Show in Philadelphia's Old Wanamaker Building and nearby Longwood Gardens. Both have been a long-standing fixture in my life and if the mobs are any indication, their popularity has done nothing but grow over the years.